This photo of Ice Lake near Silverton by photojournalist Nelson Guda, is one of 22 photos that will be displayed in Guda’s “Roadless” exhibit at the Open Shutter Gallery on Saturday. By Politics often are an anathema in the art world, but photographer Nelson Guda is unapologetic about the motivating factor behind his current exhibit, "Roadless," which will make a one-day stop at Durango's Open Shutter Gallery on Saturday. "I saw this rule as the most important legislation since the Wilderness Act," Guda said Thursday of the Clinton Administration's 2001 Roadless Rule, which was intended to preserve about 60 million acres of America's protected and mostly untouched public lands. The law faced eight years of legal challenges under the George W. Bush presidency, and Guda said that's what spurred him to begin the "Roadless" project in 2004. "I'd like to do something about this," he said. "Roadless" made its debut in the Russell Senate Building in Washington, D.C., in February shortly after Barack Obama's inauguration. It includes images from rarely seen roadless areas, which exist in almost every state. Some of the areas are difficult to access - Guda, ironically, drove 5,000 miles in a month to photograph the backcountry in Idaho, Montana and Wyoming early in the project - and just finding the areas frequently is its own challenge. "When I started on this, nobody could tell me how to get to these places. People knew they were important, but they didn't know where they were," Guda said. Guda is publishing a book of his images and will undertake a national tour after it's finished, but he agreed to a short Colorado tour to support a statewide petition drive to keep roadless areas roadless. 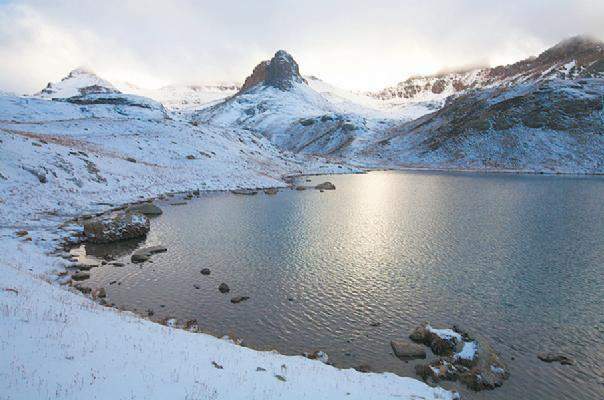 The local version includes several extra shots of protected Colorado areas, including the Ice Lakes region near Silverton, that don't appear in the national tour. 4 million acres with weaker protections than any other state. Comments will be accepted until Oct. 2, and representatives of opponents of the law, including Colorado Wild, the San Juan Citizens' Alliance and the Colorado Mountain Club, will be collecting more input at the Open Shutter event. "They asked me to bring the exhibit, and even though I wanted to wait, I thought it was important to support that effort," Guda said. "They asked me to bring the exhibit, and even though I wanted to wait, I thought it was important to support that effort."